It’s been a busy couple of months for us. Now there’s a little breathing room in the calm before the Interbike storm, we’ve got some fun news to share. In addition to moving into a great new space of our very own, our website is in the final phases of a total overhaul. 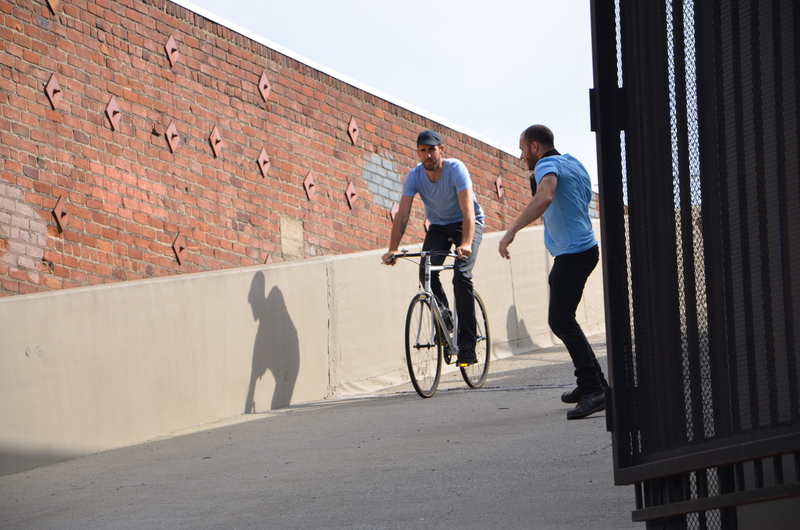 Thanks to the power of bicycles being able to bring people together a riding buddy of Matt’s is one of the big cheeses at Something Massive a really cool web company. After bit of arm twisting he convinced us that turning his team loose on our site would be a good thing to do. We instantly clicked with Jon Setzen, Something Massive’s Creative Director, and the whole process from start to finish turned out to be a really fun collaborative project. While I can’t spill all the beans right now, the end result is going to be a great new site which should make your experience a lot more enjoyable. If you missed our “sneak tweet” you can see a couple glimpses here and here. My favorite part of the redesign was our big photo shoot led by the super talented Brad Swonetz. It was truly a great day and a far cry from Matt and I taking turns snapping pictures of each other with a little point and shoot. Matt lured some friends with tacos and beer to be our models. While they’re most certainly handsome guys they definitely aren’t professionals. Luckily, Brad’s laid back easy style washed away any nervousness and he instantly channeled their inner Blue Steel. Here are some shots I took with my fancy new camera which I’m still figuring out how to use. 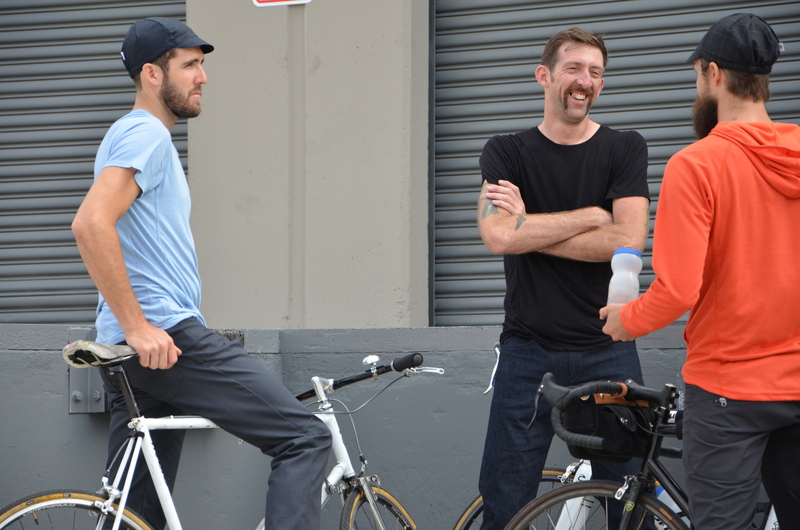 Matt shows off his shiny new belt drive Sycip to Brad and Jon. Ty and Woody from Golden Saddle Cyclery listen with horror and amusement as Jon tries to justify the funk growing in his water bottle. Ty and Brad in action. We snuck up here for an hour and not once were we hassled by The Man! John Moshay and Jon Setzen from Something Massive. 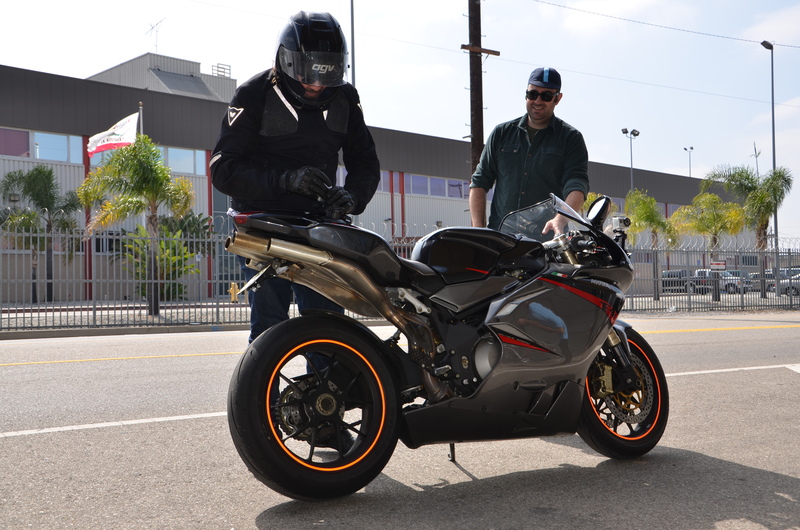 John piloted the "camera bike" which was fitted with three Go-Pro video cameras to capture the action from every angle. 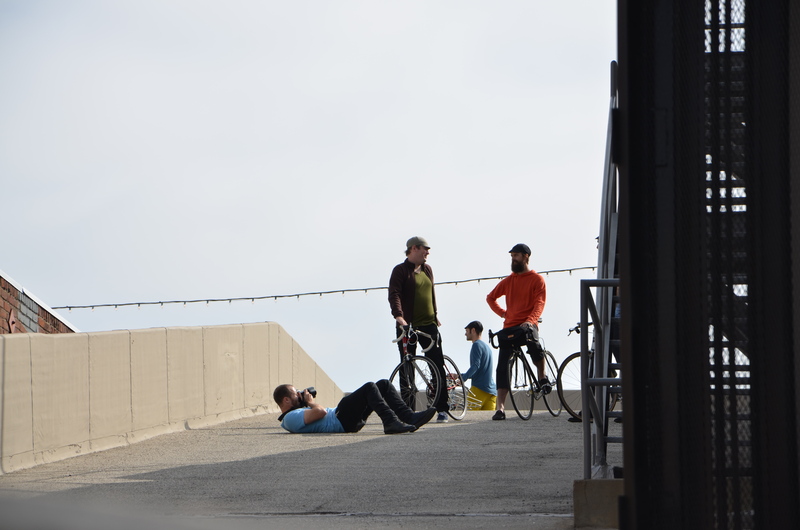 You'll have to wait till our new site is live to see what Jon and Brad were shooting. This entry was posted on August 17, 2011 at 10:25 pm and is filed under Uncategorized. You can follow any responses to this entry through the RSS 2.0 feed. You can leave a response, or trackback from your own site.